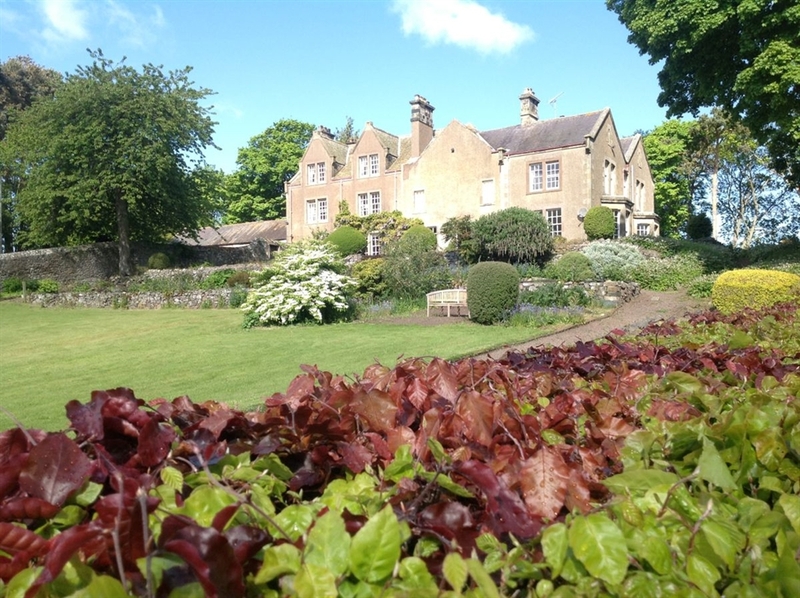 Sitting right on the edge of the National Park with St. Cuthbert's Way and the Pennine Way on the doorstep, The Bowmont Wing of Kilham House offers outstanding scenery, comfort, and peace-perfect-peace. This property will appeal to families and friends seeking a relaxing stay with plenty of outdoor space for children to play and spend some together-time. 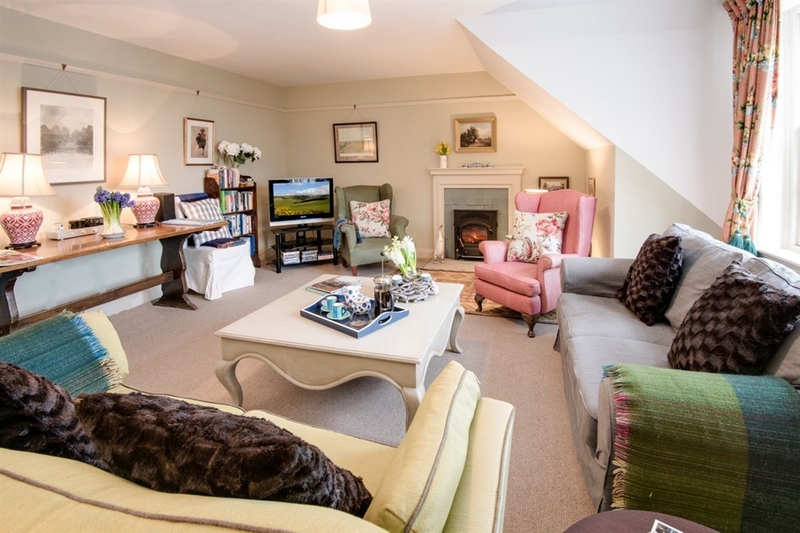 Part of a large country house in a private estate, this five bedroom property is presented in a warm Farrow and Ball colour scheme and is furnished to a high standard which combines both lovely period detailing with modern essentials. With its lofty position there is no room that is without a spectacular view of the National Park or rolling farmland. The Bowmont Wing has an incredible feeling of space and light, with a' gigantic picture-window overlooking the 400 square mile National Park. 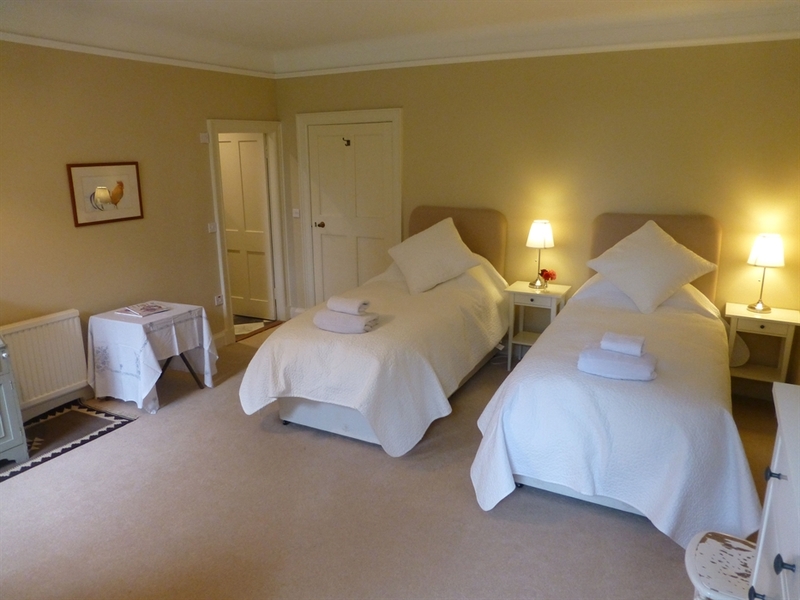 The first floor has three very large double bedrooms, a twin room with views over the garden and two further bathrooms. 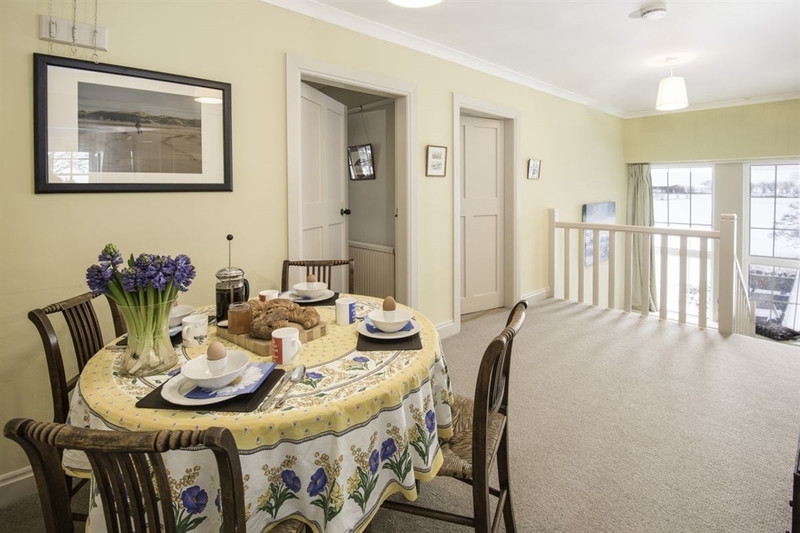 The second floor has two double bedrooms, a new kitchen, family bathroom with huge bath and new shower room, together with a charming, well appointed sitting room with wood-burning stove, books, games, media and stunning view. 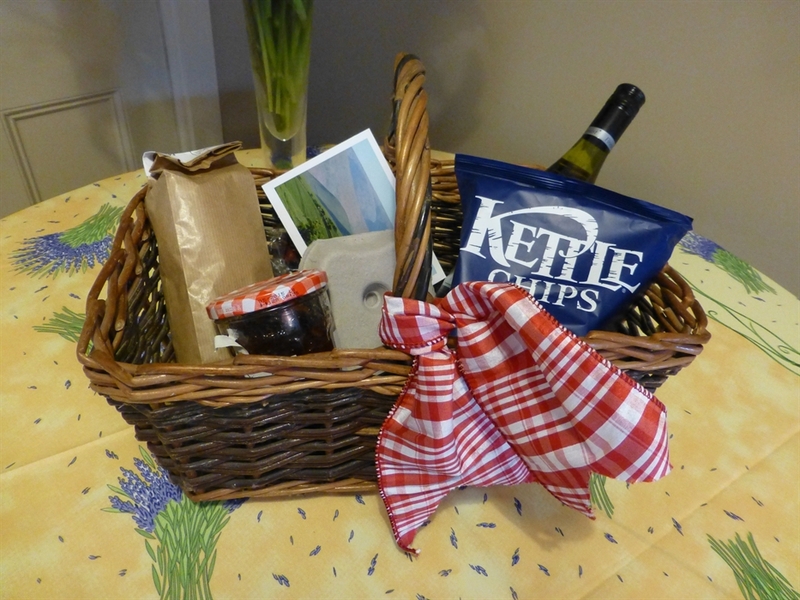 In the large walled garden, there is garden furniture on the terrace to eat out for ten and a charcoal barbecue. There is also a private dining area available to the side of The Bowmont Wing which can be made available on request. 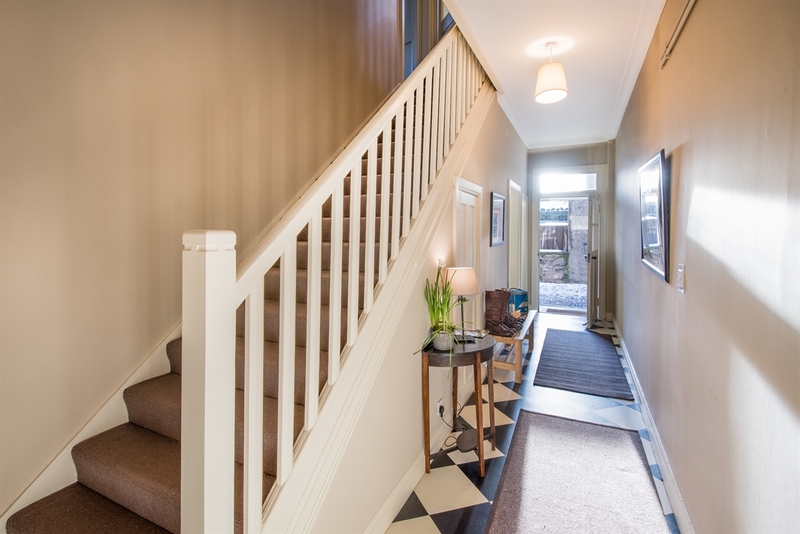 The Bowmont Wing is an ideal bolt-hole for anyone wanting to ‘get away from it all' without being far from pubs, restaurants and local shops. 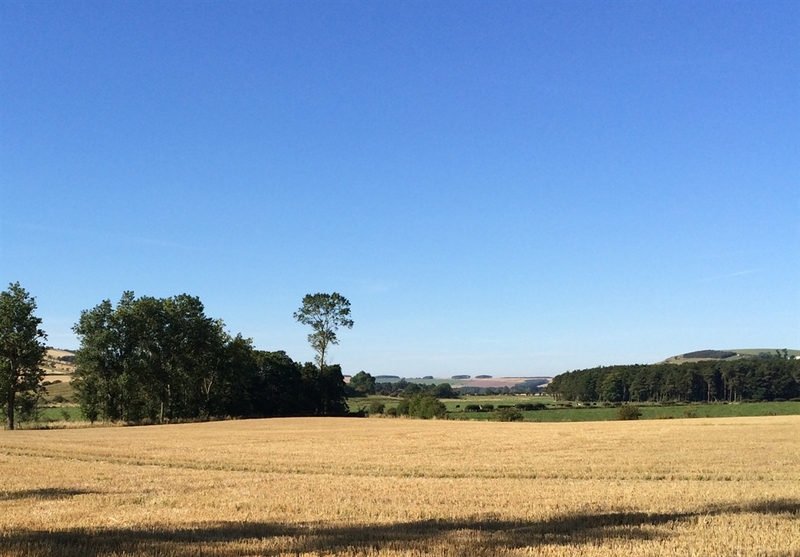 Northumberland is officially England's quietest county and with very little traffic and noise pollution is the perfect place to unwind, relax, and enjoy the countryside. 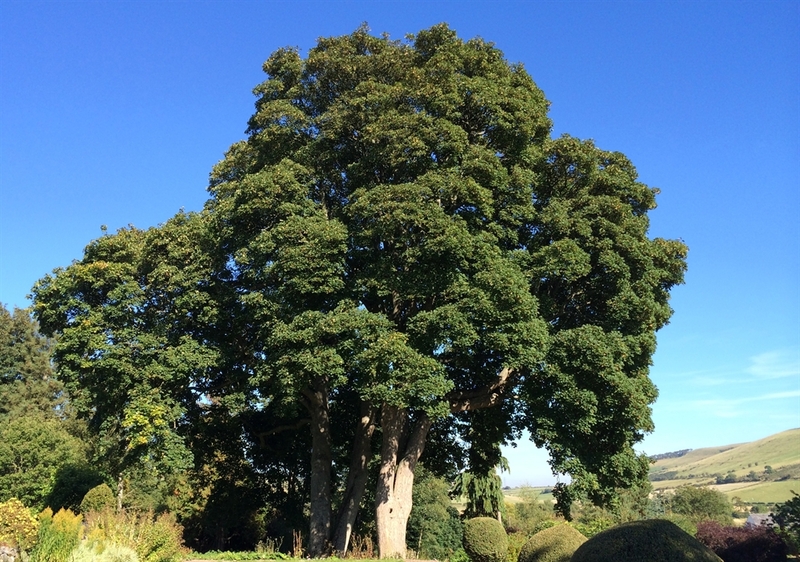 Alternatively why not indulge in a spot of star gazing - the area's unpolluted sky puts on England's best star show! 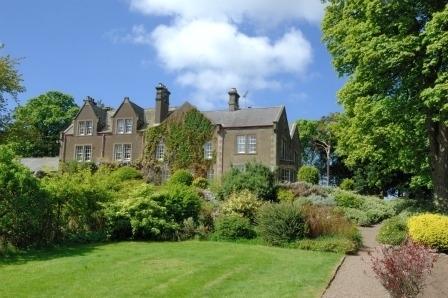 Bowmont Wing comprises the west end of Kilham House, and has its own private drive and entrance. Guests are welcome to use the drawing room and dining room of the main house for special occasions or for larger parties. This must be organised during time of booking. Please enquire for more details. Utility/boot room with washer/dryer, sink and large drying rack. A chest-freezer is available. Ideal space for storage of outdoor clothes, boots, fishing rods, golf clubs etc. Bedroom three with zip and link beds which can be set up as a superking or twin as preferred, side tables, chest of drawers. En-suite shower room with walk-in shower with rainforest head, basin and WC. 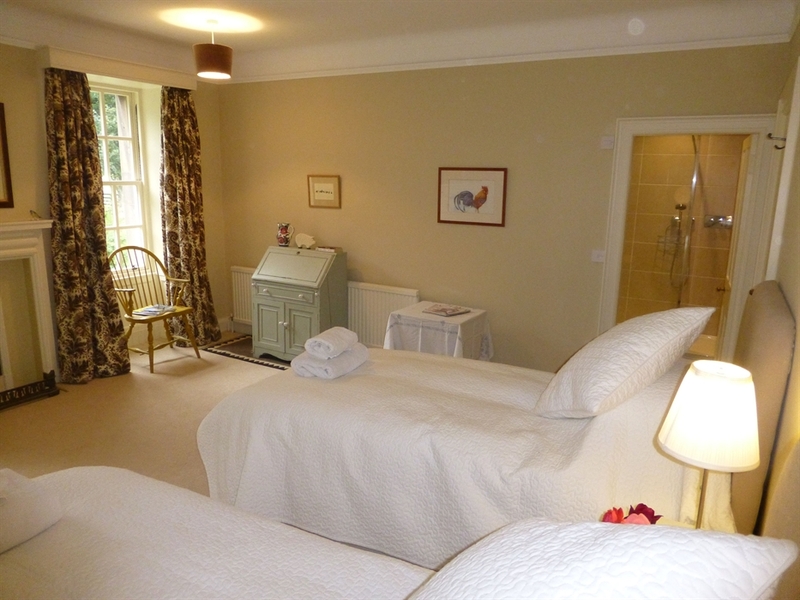 Bedroom four with super king bed, original fireplace, wardrobe and double sofa bed, chest of drawers, side tables. 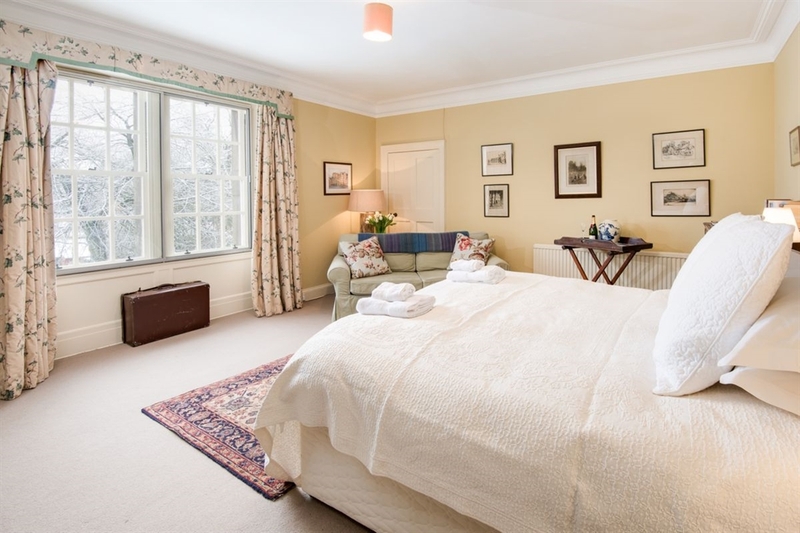 Bedroom five with twin antique beds, wardrobe, large table and armchair. 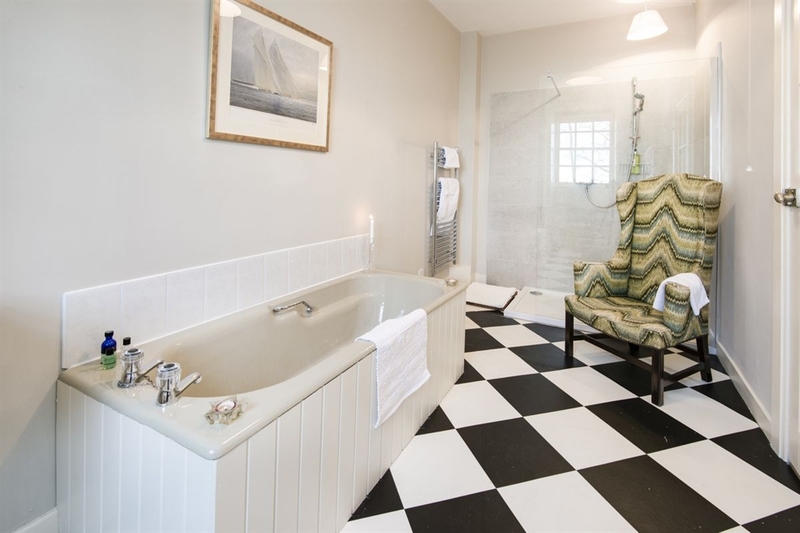 Family bathroom with bath, walk-in shower, heated towel rail, basin and WC. Bedroom one has views over farmland and hills, with zip and link beds which can be super king or twin, wardrobe, chest of drawers and original fireplace. 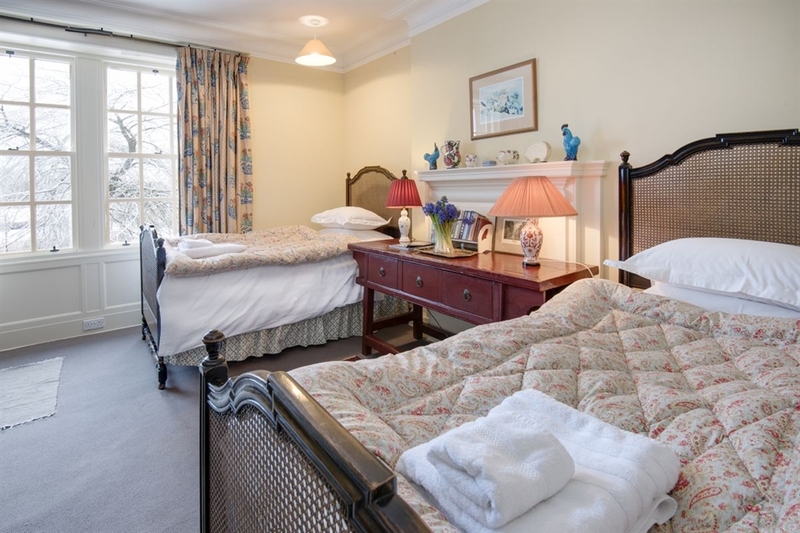 Bedroom two has views over the terraced garden and National Park with zip and link beds which can be super king or twin, dressing table, chest of drawers and original fireplace. Top Hall with large landing and round table looking out through enormous picture window onto the hills of the National Park. 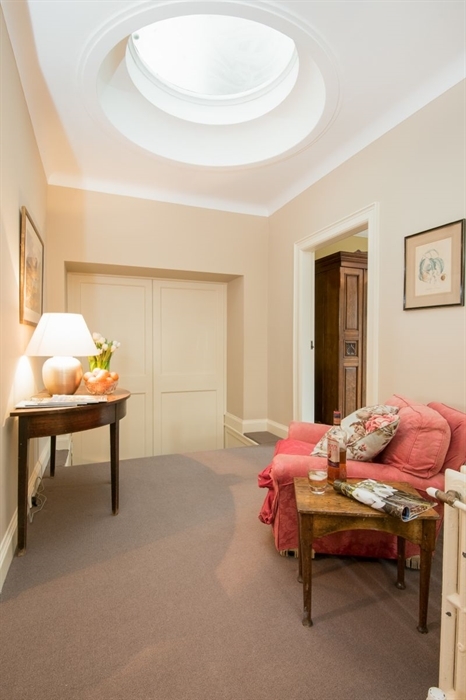 The large window seat is ideal for putting your feet up and enjoying a contemplative glass of wine. Sitting room with plenty of seating, floor cushions, iPod docking station, wood burning stove (logs provided), large, HD television with Freeview (Sky is available on request) and DVD player. There is a wide selection of books, games and DVDs. 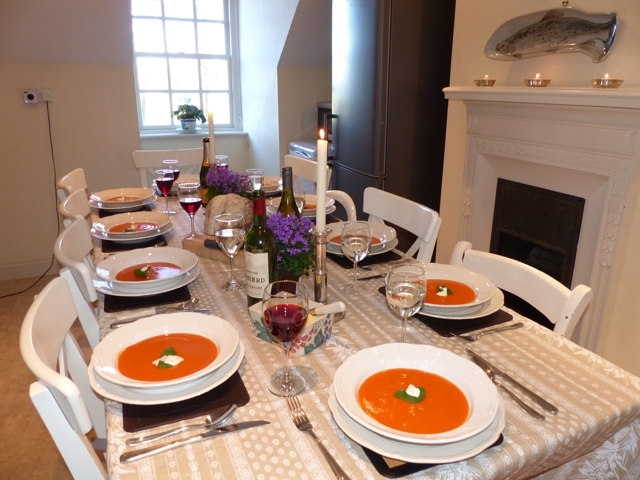 Kitchen with original fireplace, large table seating 10, Siemens electric oven and ceramic hob, large fridge/freezer, dishwasher, microwave. Pantry cupboard. Roberts DAB radio. 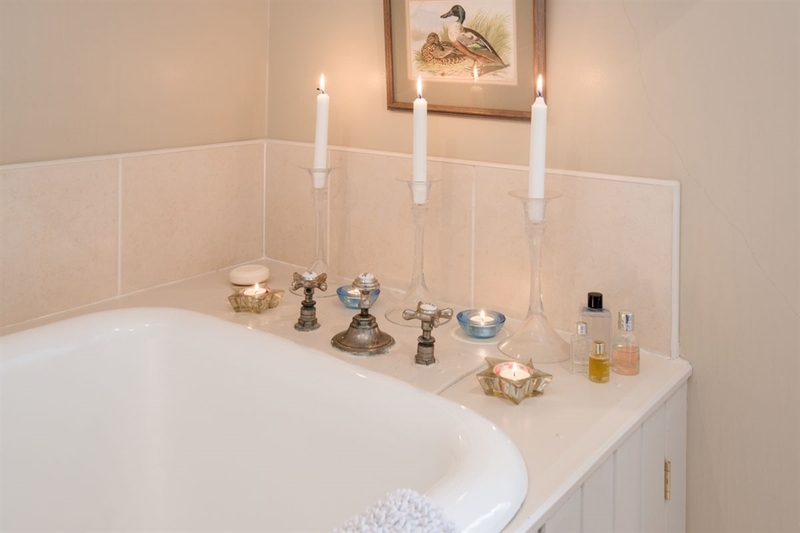 Family bathroom with enormous, original Victorian roll-top bath, WC and basin. Shower room with large walk-in Mira sport shower. 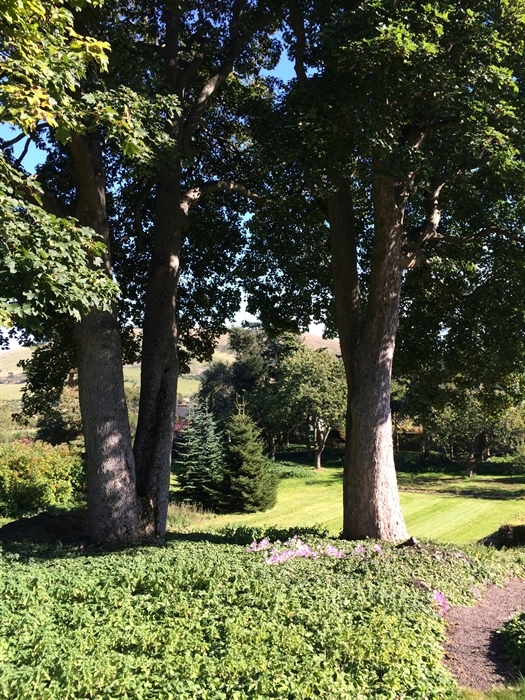 Guests have full use of the large garden at Kilham House, which has superb views of Kilham Valley and the Cheviot Hills. 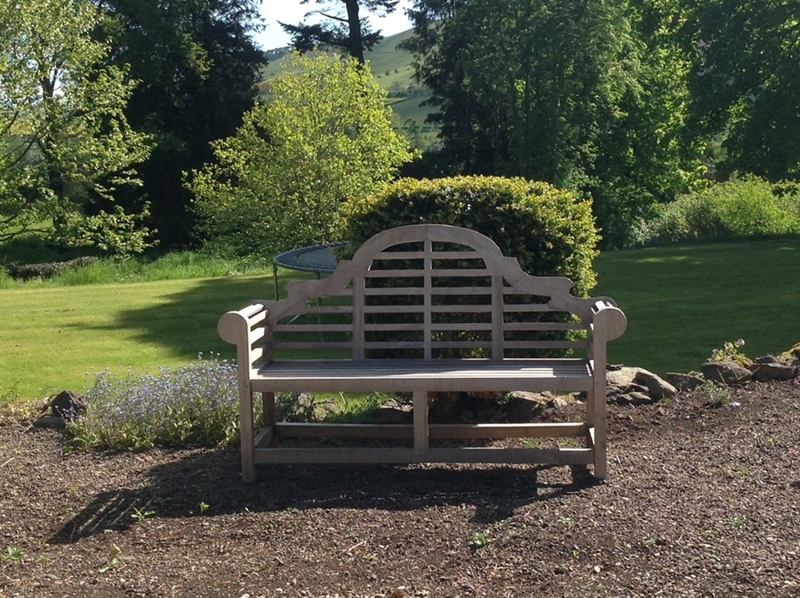 A barbecue, garden table and chairs are provided in a private garden area to the side of the Bowmont Wing. Guests are also welcome to use the owner's garden including the children's football pitch with goalposts! There is parking to the side of the property. Two dogs are welcome. Dogs must be kept out of the bedrooms and are not allowed on the furniture. There are fabulous walks from the Bowmont Wing but dogs must be kept under control as it is within the National Park. It is possible to bring your own horse or pony. There is a paddock available for grazing which is charged at £5 per day per horse. There is very limited mobile coverage at the Bowmont Wing. Coverage improves on the second floor. Vodafone customers can be added to the owner’s SureSignal free of charge.